Fine chocolate has always been a passionate interest of mine, and now this passion has developed into complete devotion! I am truly in love with chocolate and every step involved in its production. I think that the Theobroma cacao plant is beautiful; tiny flowers growing from the tree trunk that develop into cherelles (small pods) which then turn into stunningly vibrant, multi-coloured cocoa pods. It is these pods which hold the treasure that makes one of the most appreciated foods on the planet. 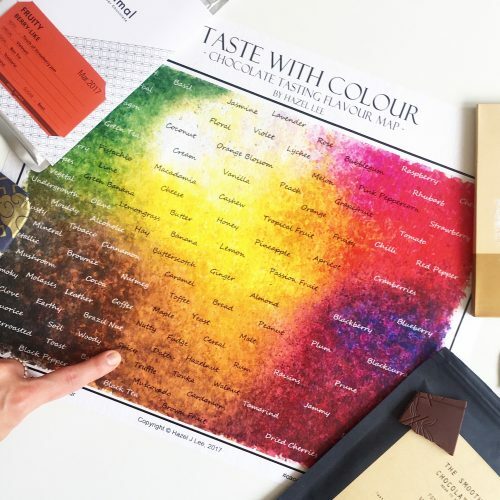 I am the creator of Taste With Colour®: The Chocolate Tasting Flavour Map, a part time Chocolate Consultant, member of the Academy of Chocolate, judge for the Academy of Chocolate Awards, Northwest Chocolate Awards and Premio Bean to Bar Brasil, home bean to bar chocolate maker and Cocoa Adventurer. 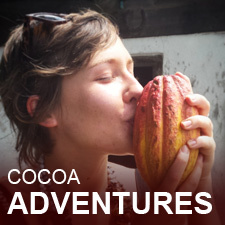 My devotion to chocolate began with my first volunteering experience at La Iguana Chocolate, Costa Rica, in December 2013. I returned to La Iguana in January 2015 after exploring northern Colombia and the San Blas Islands, Panama, in search of the Kuna Indians’ famous healthy cacao drink, which has been the subject of many scientific studies. In May 2015 I visited Grenada for the Grenada Chocolate Festival and I returned in May 2016 to participate in the festival. I visited Guatemala and Belize in December 2015 and January 2016 to spend time at Izabal Agro Forest as well as visit local chocolate makers. In January 2017 I visited Southern Mexico and in April 2017 I visited Marou Chocolate in Vietnam! My latest Cocoa Adventure was to Enchanting Southern India in October 2017. Write ups on these adventures can be found on my blog. 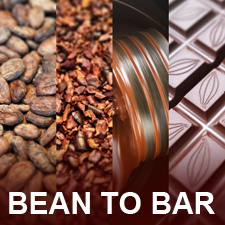 I spend my free time experimenting with home bean to bar chocolate production, judging chocolate awards, visiting chocolate factories, attending and partaking in chocolate related events across the UK and beyond, eating plenty of fine chocolate and, especially, planning my next cocoa adventure! Find out more about me in my first podcast interview on the Well Tempered Podcast and my second podcast interview on the Chocolate Fascination Podcast.